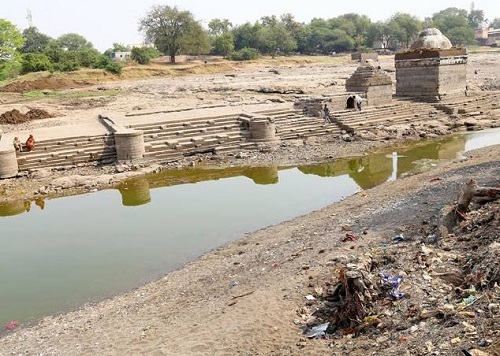 13th century built Hindu temple in the era of Peshawas have resurfaced in the Chandori (Nashik) area of the Godavari river basin in Maharashtra. These temples were seen was in 1982, 34 years ago, when an earlier drought hit this region. Sadly, these temples have been submerged after the Nandur Madhyameshwar dam was built in 1907. Each temple has a Shiva linga, and the entire riverbed contains Shiva lingas and idols of various deities.